Sierra Dosimetry’s service is NVLAP Accredited (Lab Code: 100555) using the Genesis Ultra System. Genesis Ultra uses the 4 element Harshaw Thermo Luminescent Dosimeter (TLD) personnel monitoring badge for the highest precision in determination of occupational radiation dose for your employees. Sierra's dosimeter responds accurately to beta, gamma, X-ray and neutron radiation. The response of each element is corrected by the application of its own unique element correction factor. Application of a dose algorithm accurately calculates dose and allows for the reporting of deep, lens of eye and shallow doses. Unlike other TLD products, the Genesis Ultra TLD has virtually no fading characteristics. Due to the increase in signal response the minimum dose reported is 1 mrem (0.01 mSv) compared to 10 mrem (0.10mSv) for other TLD dosimeters. It is an excellent dosimeter for nearly all medical, industrial, and environmental radiation environments. 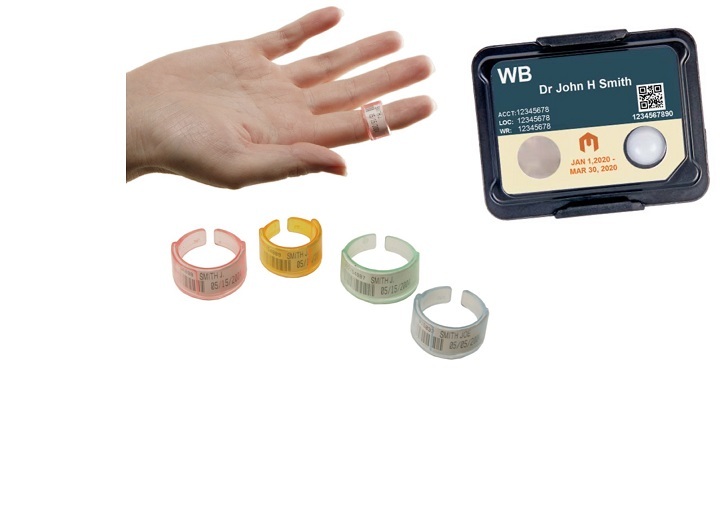 Sierra Radiation Dosimetry Service's TLD radiation dosimeter (dosimetry badge) is available for wear periods from one week to 6 months for routine personnel, area, and environmental radiation monitoring. Sierra's TLD dosimeter labels show the appropriate TLD wear-position on the body. New color choices can be requested or will be randomly supplied. At the end of the wear period the entire dosimetry badge is returned for processing. A NVLAP accredited (Lab Code: 100555)1 report listing all returned x-ray badges (dosimetry badges), and corresponding occupational radiation dose received, will normally arrive in two weeks. Rush Processing is available. Sierra Radiation Dosimetry Service guarantees exceptional performance of our dosimetry products through rigorous quality assurance testing. We offer clients a top notch user experience and unparalleled Client Services, all at a highly competitive price and with minimal maintenance concerns. Radiation monitoring services are widely used in businesses that use radiation such as hospitals, radiography, university laboratories and nuclear facilities. At Sierra we can assist you in gauging your radiation dosimeter need to better assure your employees’ safety.